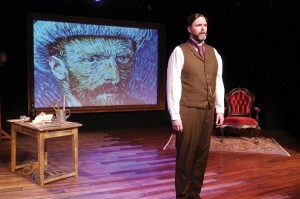 Leonard Nimoy’s Vincent dramatizes the life of Vincent van Gogh in this intimate one-man play adapted from the actual letters between the artist and his brother, Theo.Vincent’s story is so much more than that of the misunderstood artist who cut off his ownear. His life was one of great passions, and even greater turmoil, ultimately ending insuicide one summer day in 1890. This play, however, is not about the demise of oneman. It is about the meaning and significance of Vincent van Gogh’s life to all humankind. As seen through the eyes of Theo, Vincent lives on as a symbol ofinspiration, courage, passion, and the lust for life that art kindles in all of us. 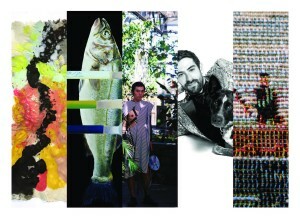 The performance includes over 100 stunning projections of Vincent’s artwork. Presented by Starry Night Theater Company and performed by professional actor James Briggs. visit www.starrynighttheater.com or call (413) 344-0240.